Betfair scalping is the process of offering bets within a market, in order to profit in small amounts on a regular basis. For this reason scalping Betfair is often considered a low-risk method of application. Throughout this article Betfair have asked me to explain this subject thoroughly as a full-time betting odds trader on Betfair's Exchange. Unfortunately, the internet is now full of false reviews and systems from those who have never made a penny. If you wish, you can see a few real traders' profiles, promoted by Betfair here. If you want to start scalping Belfair's markets it's important you read this post thoroughly! Scalping is a skill. As the name suggests we're only interested in taking small 'scalps' from the market at any one time. This won't result in a record breaking profits on a per-trade basis, although risk is limited and the opportunity to employ a Betfair scalping strategy is frequent. Why? Because largely scalping relies on market turnover, otherwise known as liquidity. Highly popular events with large betting volumes are most suited to scalping methods. Football matches, horse racing and tennis offer the most frequent opportunities. Particularly those that that are of enhanced interest to the general betting public. 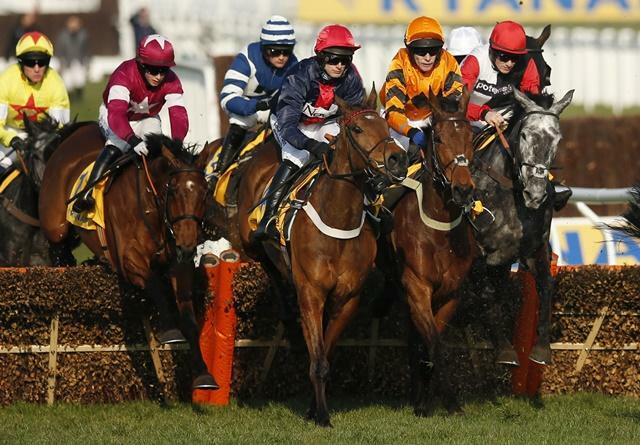 With the Cheltenham festival just around the corner, it'll be a prime opportunity to scalp the betting exchanges. How does scalping Betfair work? So, in order to scalp Betfair's Exchange successfully you'll need to offer poorer value to the market, that's better value for you as a user. You're only looking to profit one or two ticks at a time. If you didn't know; a tick means price increment. For example the difference between [4.4] and [4.5] is one tick. Better still - you don't even need the price to move, these prices would be naturally butted up against each-other. You just need the market to be active enough. You can see there are two different bets, a back bet, and a lay bet, one increment apart. If you subtract the back stake (£200) from the lay stake (£200.03) you're left with £3.03. And if you subtract the lay liability (£446.97) from the back profit (£450) you're also left with £3.03. Either way, you profit to the tune of £3.03. Simple enough. You just had to get both bets fully matched, sometimes easier said than done. Note: don't be spooked by the stakes, we're only betting on the price ranges. £200 wasn't at risk, £3 per-tick was the risk involved. Once you've perfected a systematically approach to scalping Betfair the idea is to do this repeatedly do this, building up as much profit as possible before the event starts. Regardless of sport, or betting market, the scalping process is the same. "to offer a bet within a position where it offers a good risk-reward ratio"
Once the first bet is matched, exiting for a profit should be relatively easy. If it wasn't, you didn't offer a great position in the first place. Depending on the betting market size and strength, you'll be able to offer different size bets at varying levels of risk. For example, in the final 10 minutes before a football match huge volumes of money are matched. Alternately, greyhound racing will only see a couple of thousand pounds matched on the entire race. 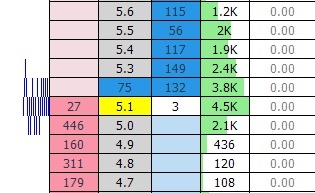 For you or I, as somebody extracting money from the market via various Betfair scalping systems the greyhound racing means we will have to use far smaller bets, although we have a higher chance of getting matched. On the other side of the coin, scalping a Premier League football match means we can use hundreds, if not thousands of pounds at a time. The downside being that the chance of bets being matched is less, taking longer. All this is great to understand, but putting seeing a Betfair scalping method in action is far clearer. Until now, I haven't mentioned the use of Exchange trading software. Other articles will explain various platforms in more depth, although it's important to acknowledge you're chance of winning is dramatically increased through the use of trading tools. All of the pro traders, myself included, use them on a daily basis. In the example below is the Geeks Toy trading software, available on the Betfair apps directory. 1. Our opening bet is offered in the market (unmatched). 2. The initial bet is matched, and so the scalp trade begins. 3. 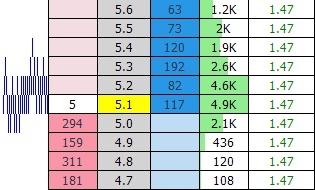 Lastly the corresponding lay bet is matched (GeeksToy calculated the staking for us). In reality, it's not always this easy, you may need to take a loss in some instances. The key is to win more often than you lose. What's the risk when scalping Betfair? Understanding what makes a successful Betfair scalping system or approach is key to profiting. The first reaction for those coming into the world of trading and scalping Betfair is to assume their whole stake is at risk. Which it is, if they let the bet run all the way. The whole concept is this: you are not gambling. Risk is low, and calculated. If the risk appears to be excessive (more than the potential reward) we don't participate, it's that simple. The downfall being that most attempting to scalp markets are human, and emotionally charged. It's not as easy as it sounds to routinely apply yourself to a betting market this way, although totally possible. So how can you manage the risk? With lots of discipline is the first answer, and patience. Not as exciting as having a punt I'll admit, but that's never been a profitable strategy. Even those that place straight bets for a living do it from some kind of advantageous position, managing the risk. Overall it takes a lot of 'training' and repetition to become a consistently profitable Betfair scalper. It's not the get-rich-quick scheme that some would have you believe. Watch out for those! However, my career first kicked off as a Betfair scalper. It was the first of the many trading disciplines to master. I mean, if you can't profit short term how do you expect to over the longer period? The amount of money to be made is largely down to the size of bets placed, frequency and time spent. Assuming the situation permits the staking. Either way, it's not hard to see that for just £50 backed and laid between [10.0] and [10.5] there is around £2 profit to be made. If you can do that twice, per race, over the course of a day where there is 30 races. There's a cool £120 up for grabs. 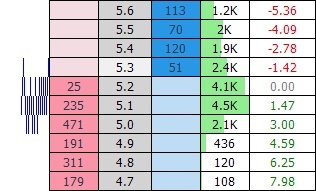 With meetings like the Cheltenham Festival, it's possible to use stakes ten times that amount. For a selection of Betting Apps for Betfair.com please see the Betfair App Directory.